" This feature has been extreme helpful when doing long flights! Great to have!!! " The shipping weight of the battery is only 1.5 lbs (1lb 8oz). 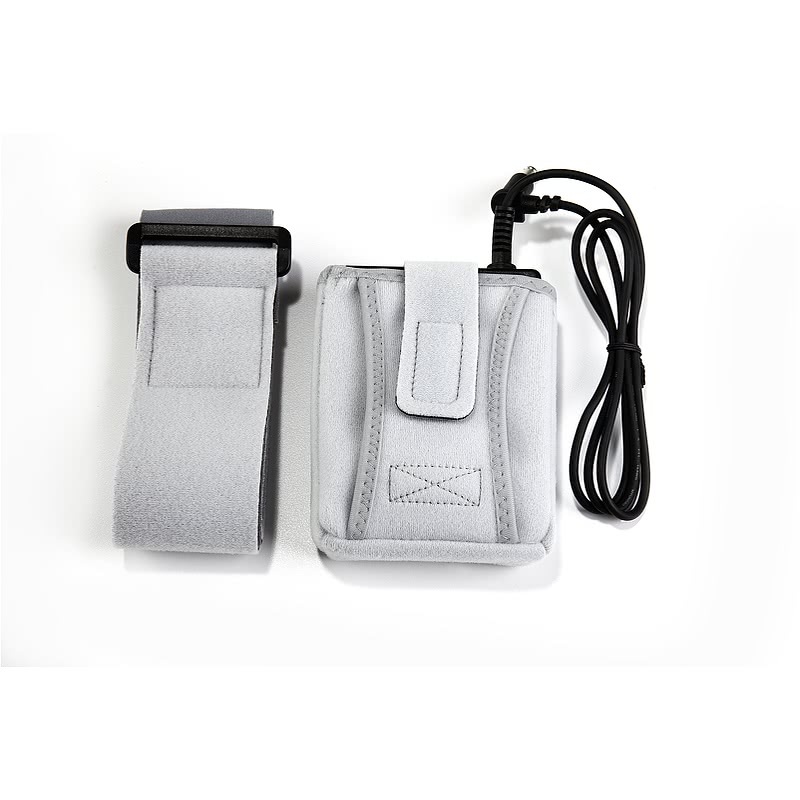 The battery can be placed close by while sleeping or use the OPTIONAL Battery Pouch along with the Arm Band or Chest Band to secure the battery. The manufacturer tested a fully charged battery at a pressure of 14 and estimates the battery can run 14 to 16 hours. Factors such as pressure setting, altitude, temperature and breathing habits will affect the actual run time of the battery. The battery is charged using the Transcend Travel machine's power supply. The power supply is plugged into a wall outlet and into the battery. Use the battery pack to set up a fail over to automatically switch to battery power for a Transcend machine in the event of a power outage. When hooked up in series with the machine and wall power, the battery will charge even when the Transcend machine is in use. Plug the Transcend's AC power supply into the wall. 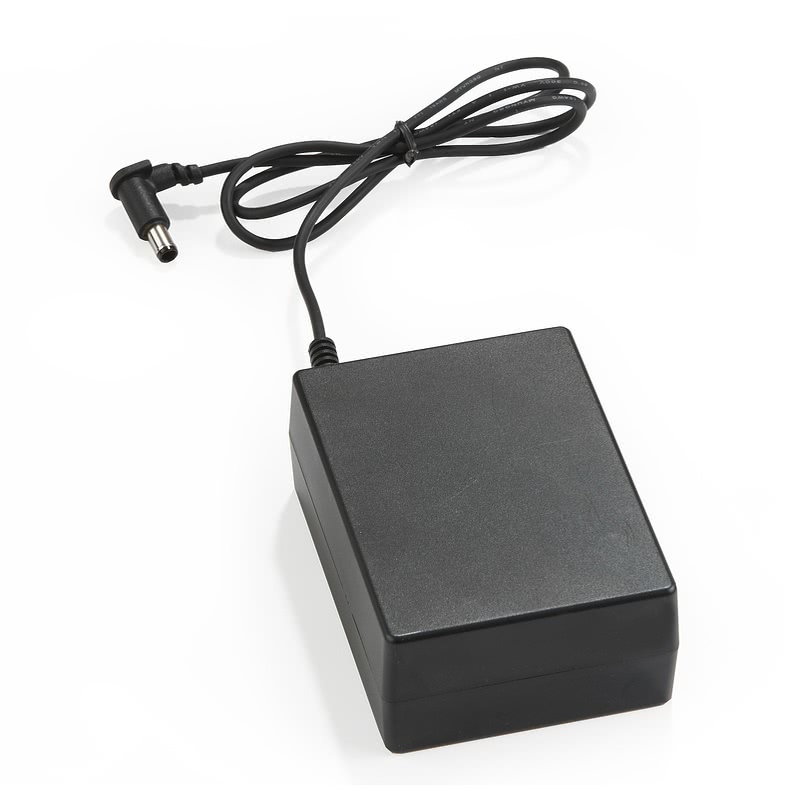 Plug the other end of the Transcend Travel's AC power supply into the optional Transcend Battery pack. Plug the Battery Pack into the Transcend. Use the sun to charge the Transcend Battery! With the optional Transcend Solar Charger add the versatility of being able to recharge the battery while on the go – camping or hiking. The Portable Solar Charger also preserves CPAP treatment during extended power outages. The life span of this battery is approximately 300 charging cycles according to the manufacturer. A light located on the battery changes color to indicate the charge. When the battery is plugged into the power source it turns orange. Orange indicates the battery is in the process of receiving a charge, and it is not at full capacity. Once the light turns green, the battery is fully charged. Charging Voltages: Because the battery is charged using the Transcend machine's power supply, it can be charged from voltages between 100 and 240 volts. 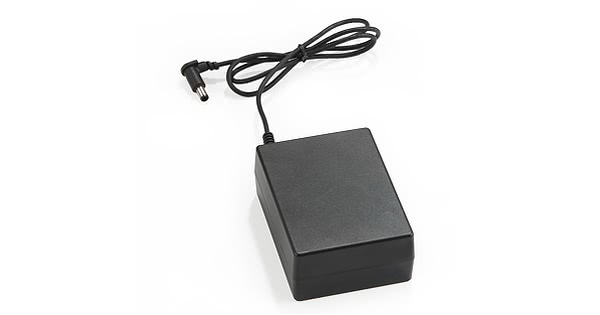 Operating Temperature: The Transcend battery is for use in temperatures of 32 to 113ºF (0º to 45ºC). The Transcend battery is not waterproof and caution should be taken to keep it dry. Battery Run Time: Environmental and therapy factors can affect the run time of the battery including temperature and altitude, as well as pressure setting and leak rate. A leak rate that is very high causes the machine to stop running. The machine will work harder to compensate for a low leak rate which will reduce the battery run time. The Transcend compliance report indicates apneas which is as an indicator of leaks. Battery Storage: The Transcend Mulit-Night Battery should be charged to a minimum of 40% before storage. The self discharge rate of the battery will be much slower when stored in a temperature controlled environment rather than a hot environment. Periodic recharging is recommended to maintain the life of the battery. Colored Light Indicating Charge: When the battery is plugged in to receive a charge, the light will turn a bright orange color. This color will turn green after it is fully charged. Please Note: In a situation where a power outage is expected but not certain, the battery can be used as a failover. While AC power is available the battery will not loose life cycles. 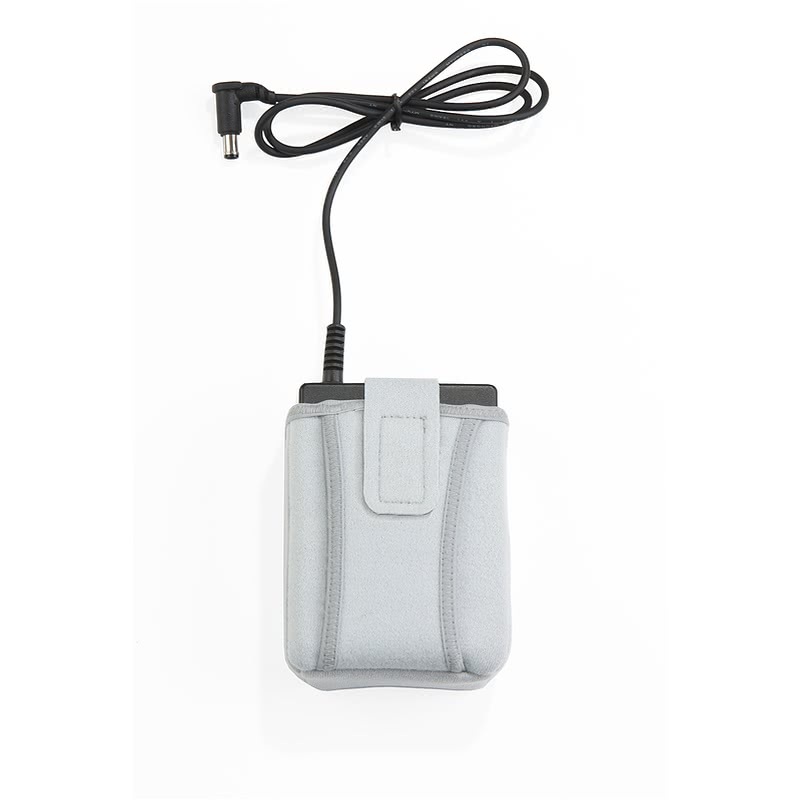 The Transcend Travel CPAP machines can be connected to the OPTIONAL Transcend Multi-Night Battery and to AC power without causing the lifespan of the battery to decrease. The battery is designed to provide AC power to the machine while it is available, and transition immediately to DC power from the battery if AC power should fail. Once AC power is restored, the battery will begin providing that power to the machine again. To learn more about the Transcend Multi-Night Battery, visit the page here.